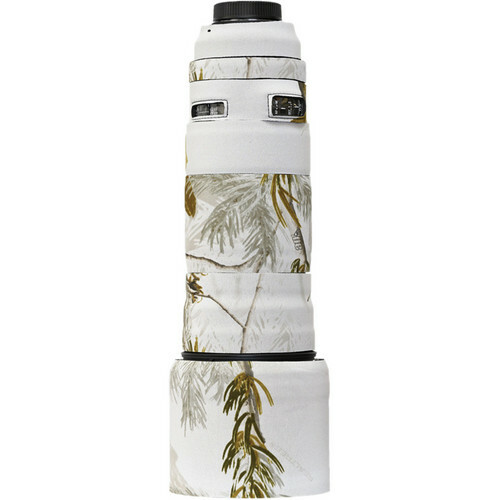 The realtree AP snow Lens Cover for the Sigma 120-300mm f/2.8 EX DG OS APO HSM AF Lens from LensCoat covers the lens with a 100% closed-cell neoprene coat that protects the lens from bumps and scratches. The camouflage pattern is ideal for nature and outdoor photographers as well as for sports shooters and photojournalists. 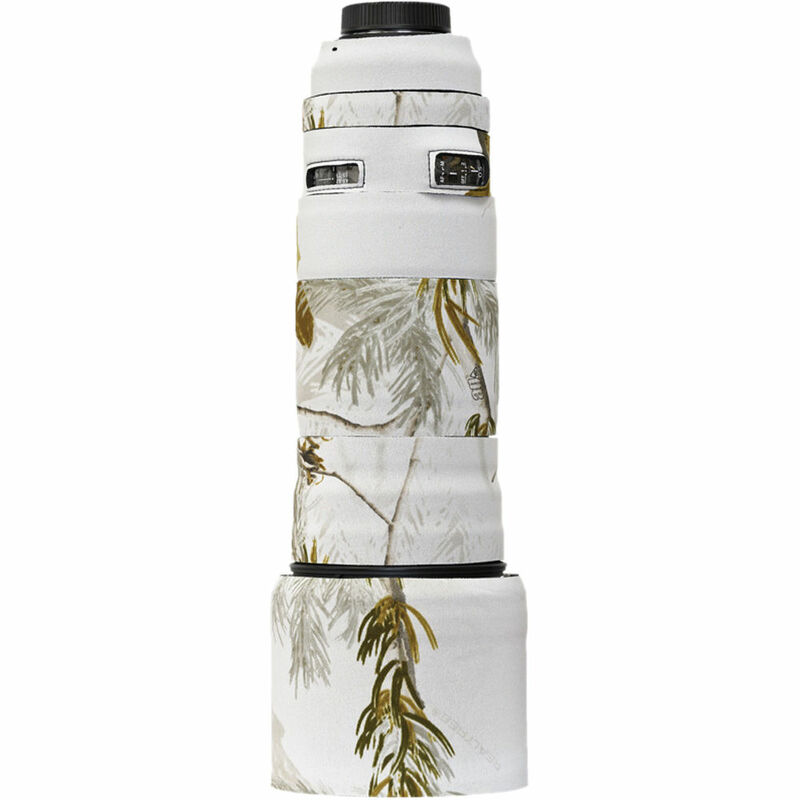 The cover helps break up the shape of the lens, making it less noticeable to wildlife. It also provides a thermal barrier, protecting your hands from cold lenses in lower temperatures. The cover is waterproof, providing protection in inclement weather. The cover is easy to install and remove and will leave no residue on your lens. For added convenience, there is also a clear UV-PVC window over the lens controls and distance scale that make it easy to activate the AF/IS/VR controls. For mounting purposes, there is a colored dot that helps align the lens with the body. Box Dimensions (LxWxH) 8.2 x 5.9 x 1.3"
Lens Cover for Sigma 120-300mm f/2.8 EX DG OS APO HSM AF Lens (Realtree AP Snow) is rated 4.8 out of 5 by 4. Rated 5 out of 5 by beerhunter13 from Works well I am an amateur wildlife photographer that takes to the woods whenever I can. The Lens Coat products definitely do what they claim. I've had whitetail deer run towards me thinking I was just part of the forest. The neoprene wrap on the metal body of the lens is a great feature since it is most comfortable to carry this lens slung over my shoulder like a shotgun with the barrel against my cheek. At the sub-zero temperatures we've been experiencing recently this is a plus. Rated 4 out of 5 by fabiopb from At least I decided to try it. A little pricey. To protect the lens from scratches. I'm interested to check if the lens stays cooler in hot temperatures. It adds a soft touch to the lens barrels. It didn't fit 100% exactly on all lens blocks. It's a great camoflage item but I believe 90% of the users aren't dressed in camoflage cloths to make it effective. Rated 5 out of 5 by William from Added Protection Provides great added protection to your lens. Rated 5 out of 5 by Steve from Works Great!! I does the job!!! Just want to make sure that this is for the newer Sport version of the 120-300... can you confirm that?